The Fuller Center for Housing has established its first covenant partner in the state of Tennessee with the addition of The Fuller Center for Housing Clarksville. 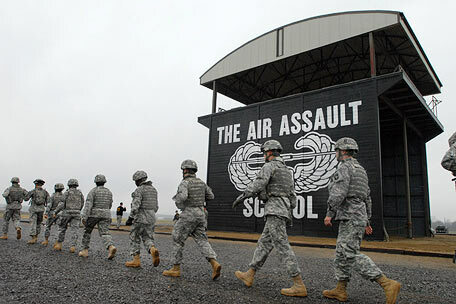 Clarksville sits in far north Tennessee on the border with Kentucky, near the U.S. Army post of Fort Campbell — home of the 101st Airborne Division, 5th Special Forces Group and the 160th Special Operations Aviation Regiment. With Fort Campbell being home to more than 30,000 soldiers, fifth-most in the Army, Fuller Center Clarksville President Sherma Johnson hopes to develop a strong relationship with the post and the tens of thousands of military family members and veterans in the area. Fuller Center Director of U.S. Field Operations Kirk Lyman-Barner said the Fort Campbell connection is timely as The Fuller Center will embark upon an effort to help veterans with housing repairs and with the Combined Federal Campaign starting Sept. 1 in which federal employees (including service personnel) are encouraged to select qualifying nonprofits to receive donations automatically deducted from their paychecks. The Fuller Center (CFC No. 32458) joined the campaign last year. Of course, the Army will not be Johnson’s only ally in the Clarksville area. In applying to become a Fuller Center covenant partner, she was clear that opportunities for collaborative relationships with churches, schools and other groups abound in the community of more than 132,000 people, making it Tennessee’s fifth-largest city and the ninth-fastest-growing city in America. For the member of Ninth and Main Street Church of Christ, The Fuller Center’s connections as a servant of the church were especially important. She also has experience as a volunteer with Habitat for Humanity, another group founded by Fuller Center founders Millard and Linda Fuller. Click here to learn how to start a covenant partner in your area. You don’t have to have a covenant partner to make a difference. Find out how your church can work with us in our Christian housing ministry.